Cheaper to manufacture and operate. Can be made in just about any size. •On location power generation Units that provide electricity & heat. –Small to large businesses, hotels, hospitals. At this time the 2.5 MW High speed generators have been built and are being tested by the United States Air Force USAF. The 2.5 MW unit is 1/10th the size of conventional generators at only 28 x 21 inches and 360 lbs. ; a number of other sizes, 5Kw, 30Kw. 90Kw, 200Kw, 1.2 MW, have also been built and tested under a number of development programs; and larger units are being designed to meet the demands of the commercial power industry. The Tesla turbines are simple and the designs have many applications. The complete system, MaxFelaser turbine, need to be sized to the generator that it would be powering. At this time more than 20 years of research and development has gone into these technologies. The application of “Rear Earth Metals” and a new laser plumbing system to flash water to steam and drive a tesla turbine PM hi-speed generator producing clean emission-free energy for just about any power system requirement or application: large central power systems, distributed power systems, local, stand-by or back up power systems, or small in-home or business systems as well as the 200 Kw to 500 Kw systems that could be put into cars, trucks or just about anything that now uses an internal combustion engine. Complete system, MaxFelaser, turbine, need to be sized to the generator that it would be powering. At this time more than 20 years of research and development has gone into these technologies. US Air Force Research Laboratory. • These generators have unique oil cooling and lubrication systems to improve power capacity and reduce overall weight. Controller units for software-based closed loop operation are also under development. The investment opportunity is not in the thorium itself; it's in the technology that unlocks the value of thorium. •The MaxFelaser Phoenix power generation systems technology is the heart of the LPS system. An ultra high-output free electron laser. These lasers flash water to heat steam and drive a Tesla Turbine and high-speed induction generator. 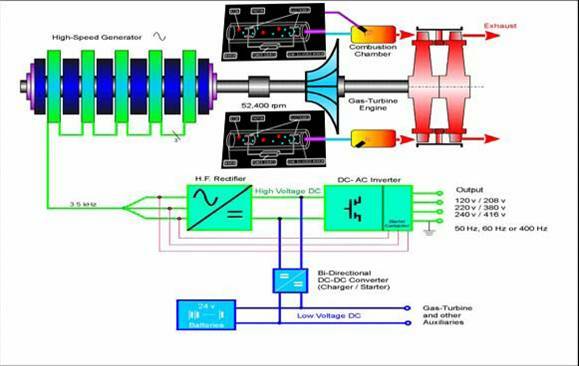 •.MaxFelaser systems, the future of clean, emissions-free Power generation. •This system fully implemented will slow and then stop global warning.